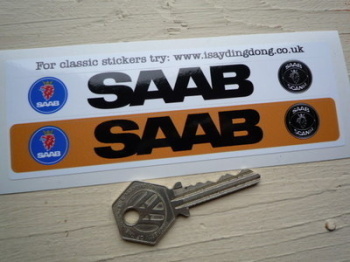 Saab - I Say Ding Dong Shop - Buy Stickers, Decals & Unique Automobilia. Saab 96 Rallye Monte Carlo Rally Plate Style Car or Window Sicker. 1962 or 1963. 5". 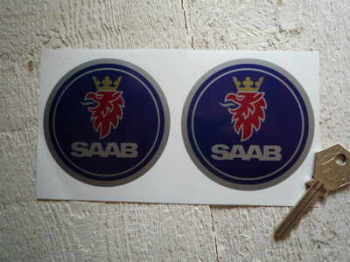 Saab Circular Logo Stickers. 3" Pair. 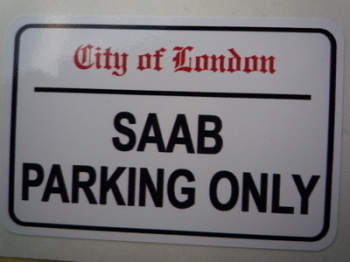 Saab Number Plate Dealer Logo Cover Stickers. 5.5" Pair. Saab Parking Only. London Street Sign Style Sticker. 3", 6" or 12". Saab Round Laser Cut Self Adhesive Car Badge. 46mm. 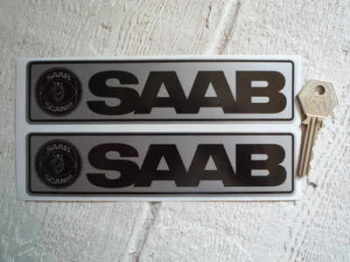 Saab Silver & Black Oblong Sickers. 7" Pair. 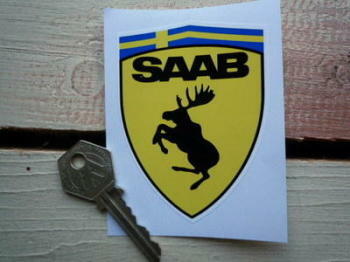 Saab Sweden Swedish Flag Style Stickers. 2" Pair. Saab Wheel Centre Style Black & Silver Stickers. Set of 4. 50mm or 60mm. Saab Wheel Centre Style Colour Stickers. Set of 4. 50mm.